The state of Maine sits in the northernmost part of New England. Maine is bordered by Canada to its north and the Atlantic Ocean on its southern coast. Maine’s landscape is mostly uninhabited forest land. The coastline is rocky but consists of many inlets and beaches with quaint fishing villages and picturesque lighthouses. Thousands of small islands dot the coastline. Maine’s winters get quite cold and snowy, making it a great place for skiing, snowmobiling, and even dog-sledding. The summers are usually warm and mild without extremely high temperatures. Maine’s rich, forested landscape makes it perfect for hiking, camping, and mountain climbing. The waterways and coastline are great places for kayaking, boating and fishing. There are even whale-watching cruises and lighthouse tours along the idyllic coast. Sabbathday Lake Shaker Village– This beautiful Shaker community is a step back in time and host a number of tours, events and workshops. They also have many unique handmade products available for purchase. Maple Sugar Houses– Maine has many farms and maple orchards where guest can sample fresh maple syrup and other tasty treats. Many of the farms offer markets, tours and even alpine skiing. Weston’s Farm, Alderwood Farm, and Beaver Hill Plantation are a few examples. 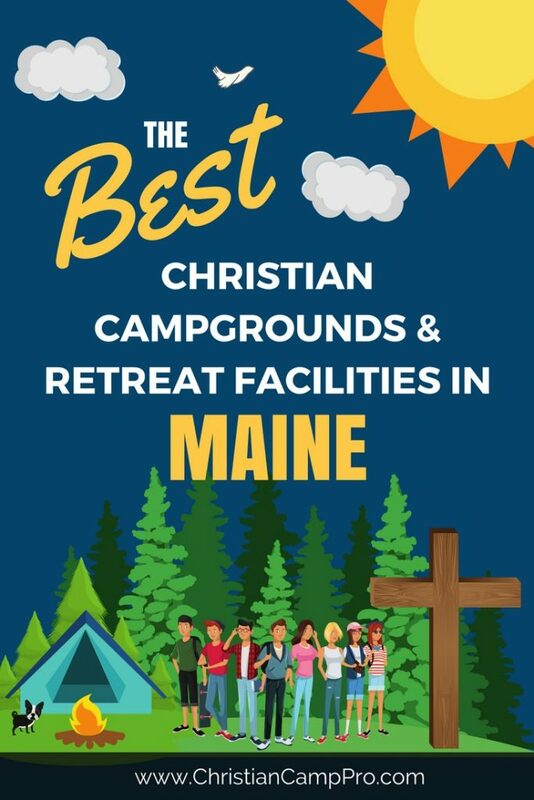 Acadia National Park Ministry– This ministry organization provides fellowship opportunities, leadership development and worship services for park visitors and camp groups. Maine is a state of stunning beauty that would make a great venue for youth camps and adult retreats. Its landscape is scenic year-round and provides many one-of-a-kind adventure opportunities. Groups of all ages will find exciting experiences in Maine.